Rubenerd: South Australia: The Unpretentious State? South Australia: The Unpretentious State? A discussion prompted by Sir Kloss on Google Reader regarding Alaska and the views of some of it's people compared to the rest of the US led me to thinking what makes South Australia different from the rest of Australia. I'd say Farmer's Union Iced Coffee (Wikipedia) is the most important difference. One thing I have really noticed studying in Adelaide (Wikipedia) having lived in and visited Melbourne in particular is that people here are far more humble and realistic about their state, and don't have an overinflated sense of self worth. Melbourne (Wikipedia) is a nice place and has been voted as the most liveable city in the world by The Economist several times, but I worry it gets to some people's heads there. The current state government's longer term development initiative describes Victoria as "The Place to Be" on their vehicle registration plates and on promotional material. 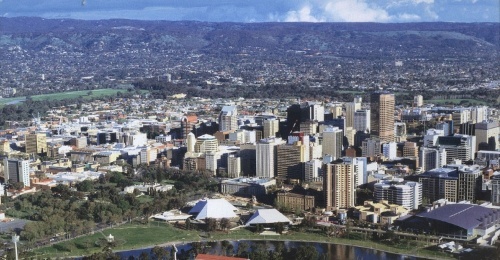 The state's Premier has called Adelaide a "backwater" and the Lord Mayor of Melbourne went so far as to say recently that Adelaide doesn't even have a reason for existing and should be shut down. It's cringe-worthy, though at the same time fun to watch these people make arses of themselves! By comparison, people in Adelaide and South Australia in general have a far more self-depreciating sense of humour about themselves which is quite refreshing. It's as if people here know Adelaide is nice place to live, while being secure and confident enough in themselves not to indulge in Victoria-like shenanigans. Therefore I suggest the state government here ditch the new licence plates here which humbly just print the name "South Australia" under the registration number and replace it with "South Australia — The Unpretentious State". Or do we want to keep taking the high road (ha!) and leave it as is? I'll leave it up to the Premier. Now to Twitter this to Mike Rann and then I'll go grab some afternoon tea. Adelaide has more restaurants and cafés per capita than anywhere else in Australia, so I have my pick of places!